Russo-Jewish scholar; born at Suwalki, in the government of the same name in Russian Poland, Feb. 14, 1844. He began the study of the Talmud and commentaries at an early age without the aid of a teacher, and at the same time devoted himself to the study of different languages and sciences. In the nineties he settled at Warsaw, where he is now practising law. 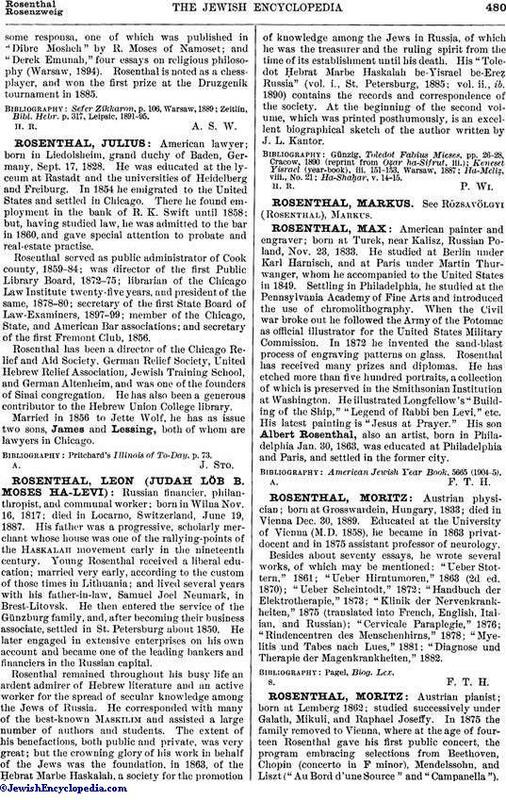 Rosenthal began his literary career in 1866 by contributing philological articles to "Ha-Maggid." Since then he has written for such Hebrew periodicals as "Ha-Lebanon," "Ha-Karmel," "Ha-Meliẓ," and others, writing on topics of the day as well as on Jewish science. 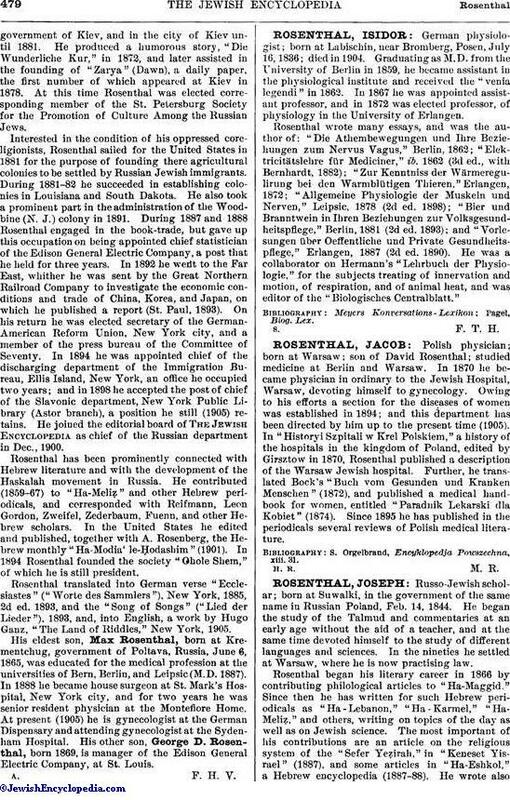 The most important of his contributions are an article on the religious system of the "Sefer Yeẓirah," in "Keneset Yisrael" (1887), and some articles in "Ha-Eshkol," a Hebrew encyclopedia (1887-88). He wrote alsosome responsa, one of which was published in "Dibre Mosheh" by R. Moses of Namoset; and "Derek Emunah," four essays on religious philosophy (Warsaw, 1894). Rosenthal is noted as a chess-player, and won the first prize at the Druzgenik tournament in 1885. Zeitlin, Bibl. Hebr. p. 317, Leipsic, 1891-95.